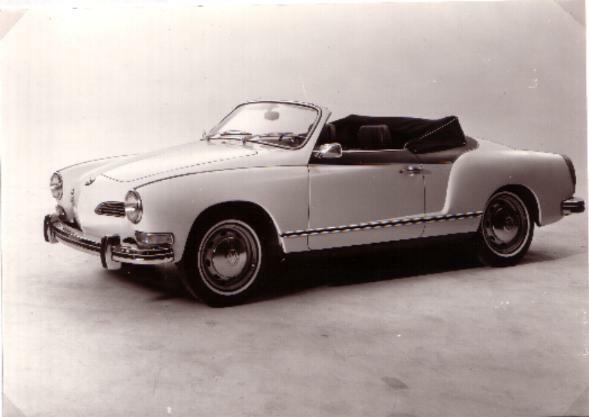 There has been different topics here on the samba about the sport ghia, but there was little known about the survivors of this special edition. I did some research in the last couple of weeks and had some nice findings. Thanks to these topics, I was able to contact some other owners and asked about their cars. Further research on internet also gave me some extra info and cars. Very interesting is that there are two types of striping. The ""thick" striping and a "thin" striping. The Thick striping is a 2 cm wide striping that goes from the front all rond the back of the car. Around the chrome side trim the striping is in between the two chrome trims and also underneath it. This striping goes all the way to the back even behind the rear wheels. The "Thin" striping starts big at the front, but gets smaller to the rear windscreen and this striping is also between the chrome side trims and not below it. Also no striping in the part behind the rear wheel. 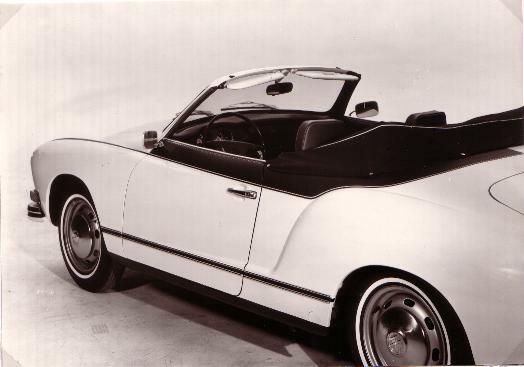 But, also all the known VIN's of the cabrio's are later than all the known VIN's of the coupe. So it is also very well possible that there is an "early striping and a "late" striping. 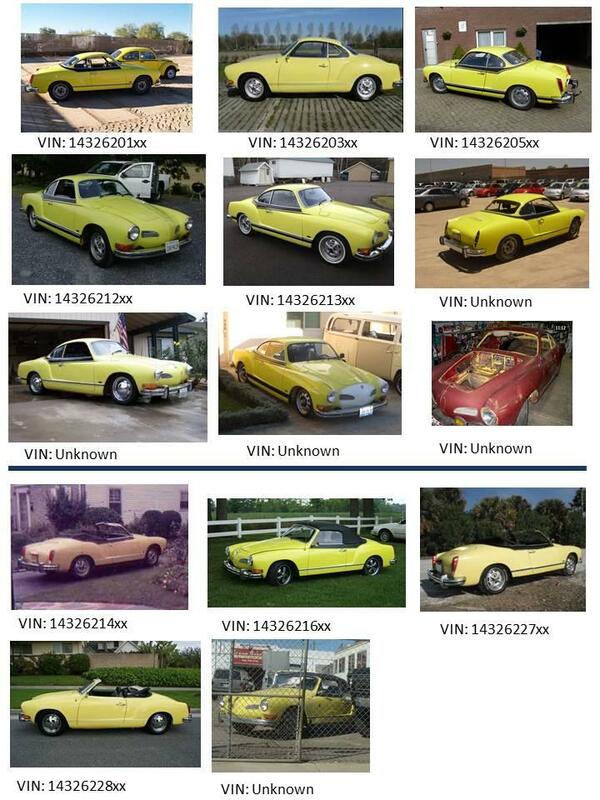 I have currently the birth dates for only two cars and these shows that the Sport Ghia's were made in a very small period at the end of march and beginning of april. If anybody has some more info about this special edition, let me know. 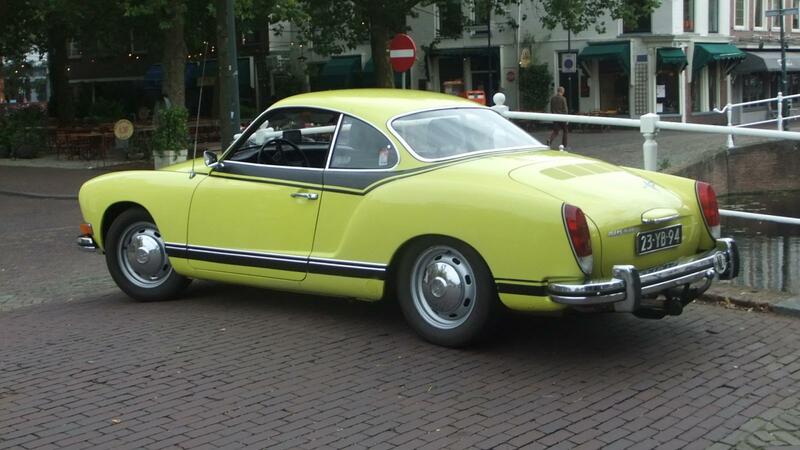 Dutch Karmann-Ghia and coachbuild lover. I asked for the birth certificate of our Sport Ghia. I am waiting now from VW. I will let you know when I'll receive it. These Ghia were only sold in the US originally, right? Do you have the original location when sold new of the dealership of some of these cars. East coast, west coast? I saw one of these cruising down I494 in Minneapolis the other day. Not sure if it is a clone or not but you may want to contact the Twin Cities VW Club to see if the owner is a member. 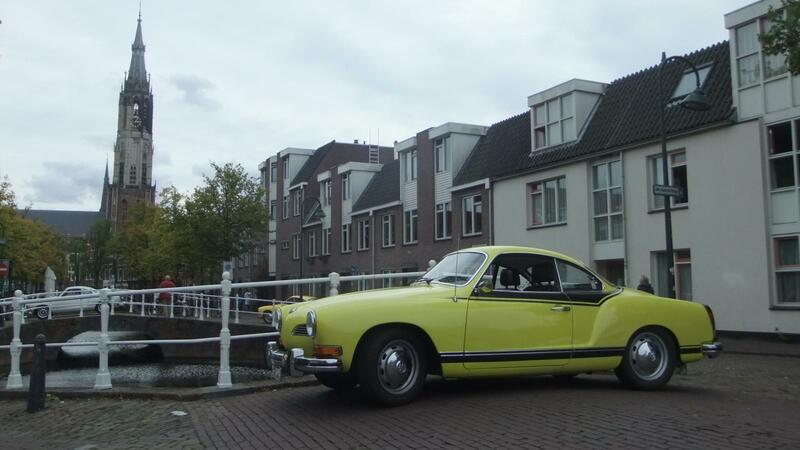 Yesterday, I finally got my Sport Ghia and today I drove it in Delft. 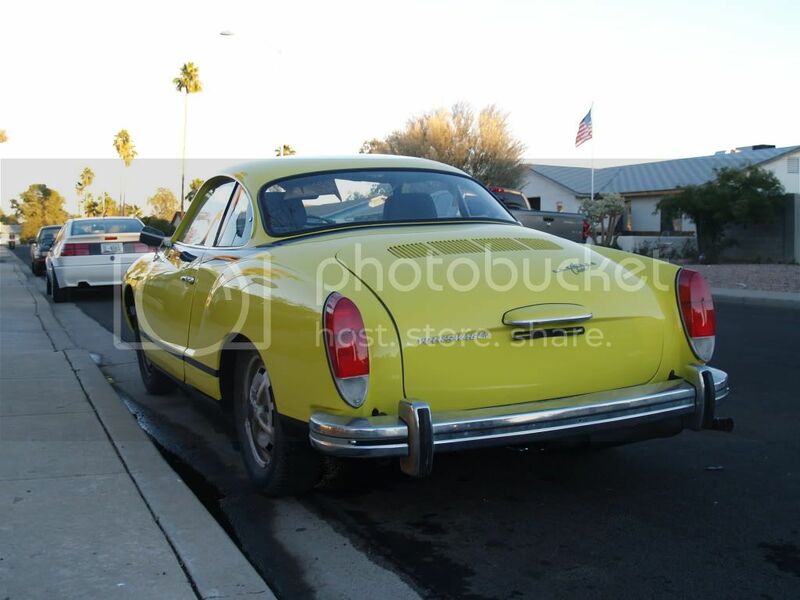 From what I can see in the background, it looks like the town is crowded with Karmann Ghias. That Sport Ghia looks great! Congratulations on the find. There can't be many Sport Ghias in Europe if any...apart form yours. A very nice acquisition for your collection Patrick. Congratulations, it looks like another beautiful Type 14 for your collection, Patrick. Did the Sportfelgen go missing? It appears you have standard wheels. Alsmost the same options except the M027 that is related to West coast car for pollution. 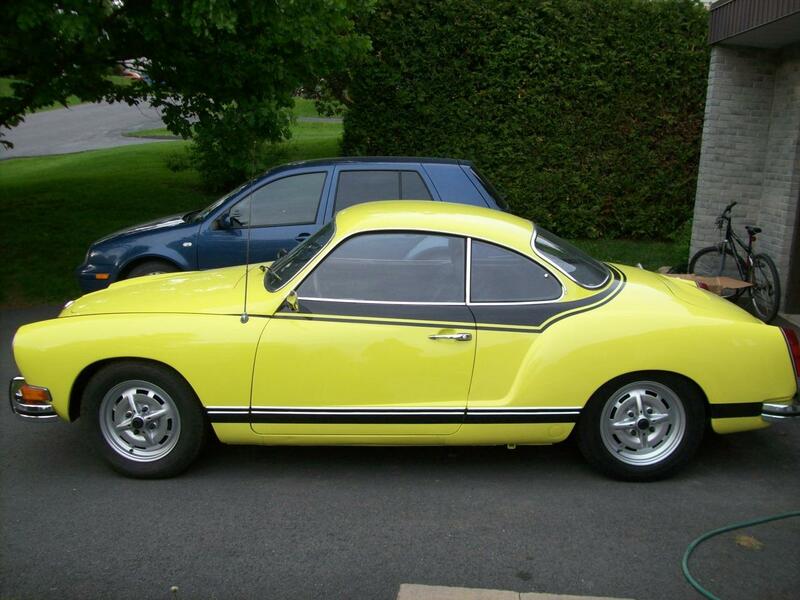 Both our Ghias were built a couple of days apart. On the subject of striping. Width, placement, etc. This is my car. VIN #1432620122. Which is actually pictured twice in your post above. The top left picture is my car, and the third picture in the second row, or the last picture in the second row. Those are both pictures of the same car. Here are a couple of pictures of it in 1979. 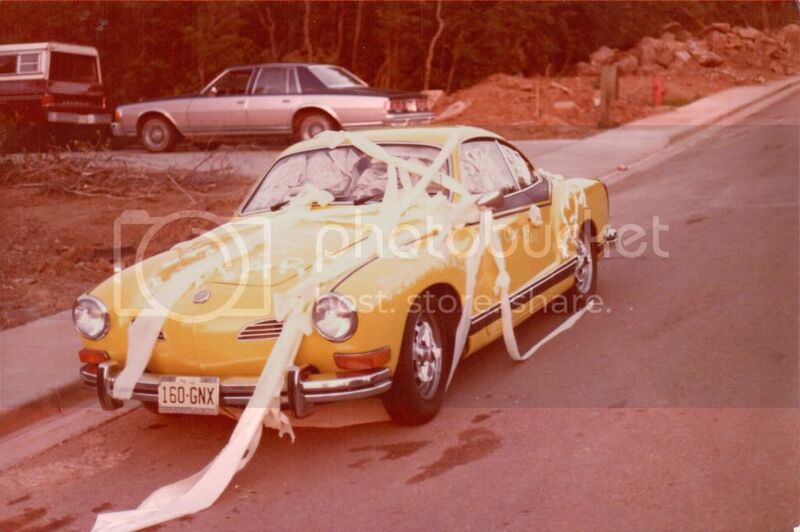 This is what it looked when my parents got married and this is the original paint, and original striping. These two are from sometime about 1996-1997. This is after at least one re-paint, and at this point, the original decal stickers were removed and replaced with paint. As you can see, the point where the stripes swoop downwards at the rear quarter panel had been extended, or elongated vs. the original pictures above. These are a few of the most recent pictures of my car. I repainted it back in 2007-ish, and when I did, I studied a few pictures of other Sport Ghias that I could find online and had my painter paint the stripes according to the pictures that I could find. As you can see, I deleted the stripes between the rear wheel and the bumper, I added the black rocker panel, I made the stripe that goes between the two chrome trim pieces thinner, and the point where the stripes swoop down near the rear quarter panel was raised back up. 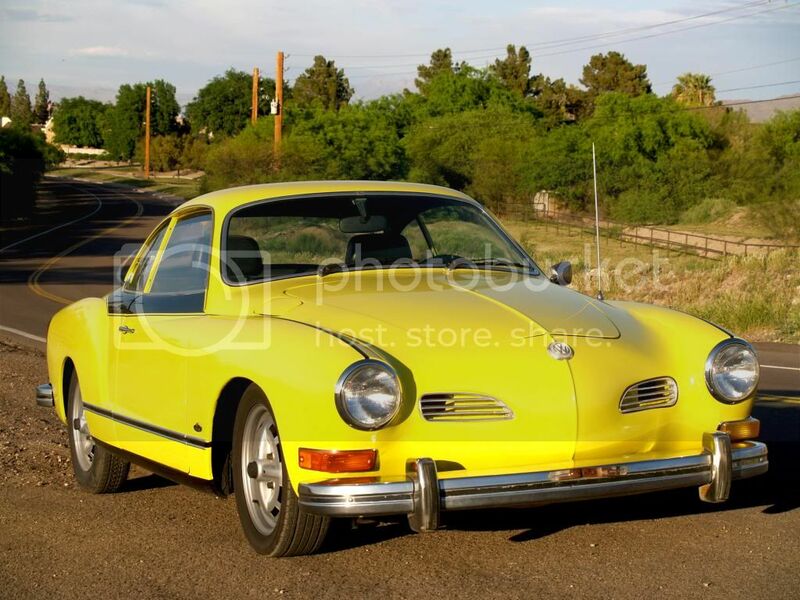 Does anyone know if these cars left the Karmann factory with the stripes attached, or did they get installed by the dealers? Or… Possibly the stripes around the top and down each front fender were all the same, but some dealers decided to embellish the lower section by custom painting it. Which might explain why some of the cars have a thick stripe where the chrome trim is, and some of the cars have black rocker panels, and some have stripes between the bumper and rear wheels, etc. 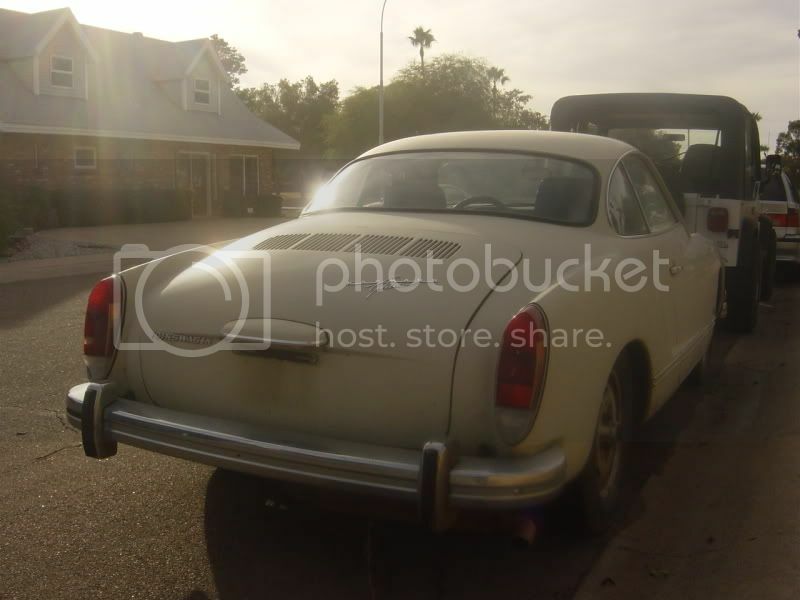 Does anyone have a Sport Ghia that still has it's original stickers? If so, are your lower sections stickers as well? Also… Here's another one that I owned. As I told you in private message, I'm attempting to find the VIN but, if you want to add this car to your list of Sport Ghia pictures, feel free. 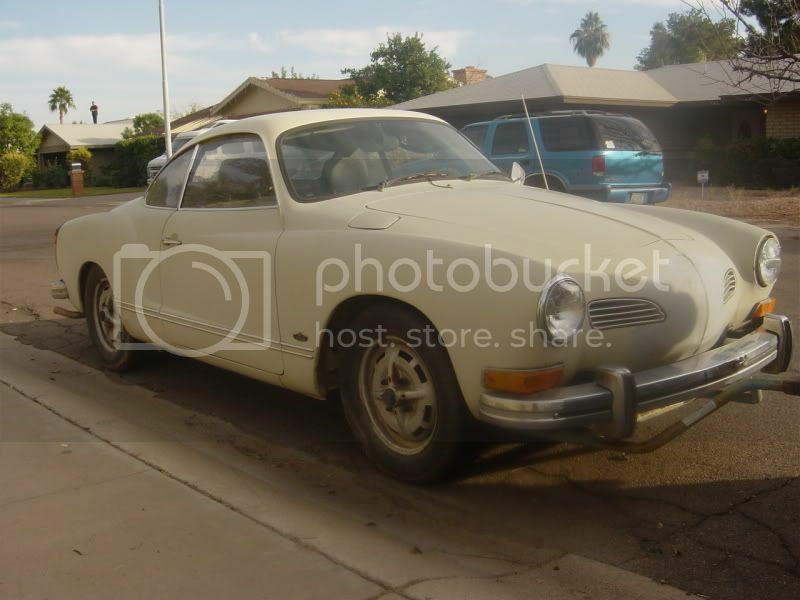 I bought this Sport Ghia from the second owner. When he bought it, it was the original Yellow/Black. He thought that was annoying, so he painted it beige. I bought it with the sole intention of returning it to it's original paint color and selling it to someone else. this is what it looked like when I bought it. And here's what it looked like when I sold it. Keep in mind… All four pictures are of the same car. The last two, in the proper Yellow/Black is what it looks like currently. 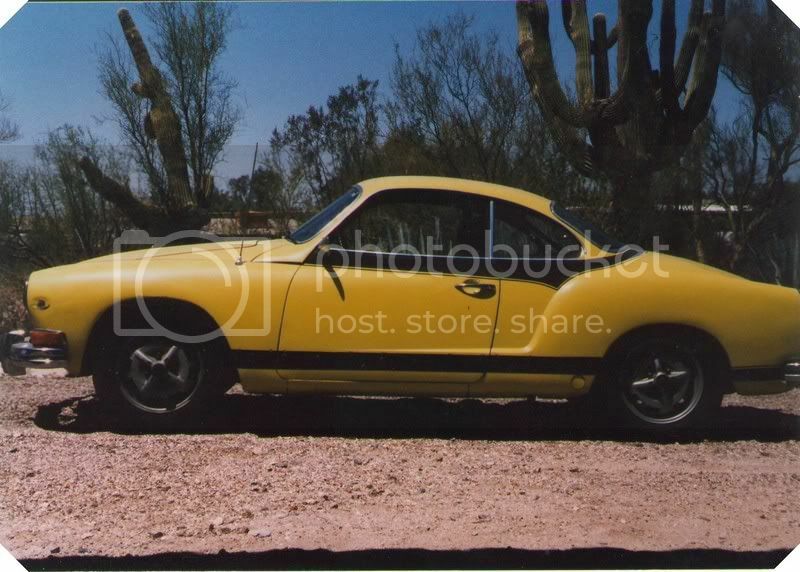 I sold this car to someone that lives on the west side of Phoenix. I haven't heard from them since, and I haven't seen the car since I sold it a few years ago. I'm hoping that it's still on the road and still has it's proper look. If I can find any records of the car from when I owned it I'll post the VIN so you can keep it in your list. Very cool cars with a unique story behind them. I'm just curious about a couple things. 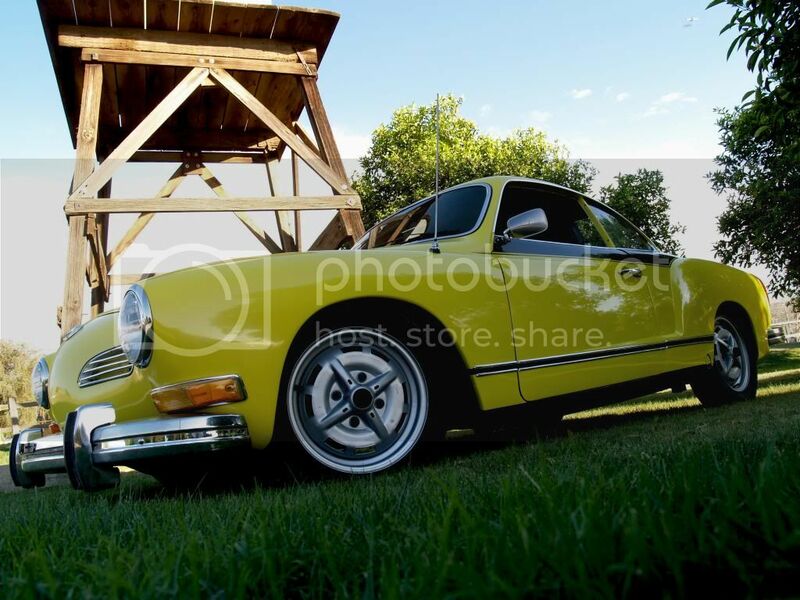 You mention that some of the Sport Ghias do not have the stripe between the rear wheel arch and the rear bumper - do you think that they were made that way, or was it perhaps the result of some damage repair some time after delivery? Also, why did you choose to paint the lower portion of that section black on the car you flipped? I assume it was an extension of the black rocker panel idea, but I notice that it is not done that way on your "keeper" (at least not in the photos posted), and I'm curious why you chose to throw yet another variation out there. I'm not "judging", mind you - I'm just very curious by nature and tend to overthink just about everything to a fault. to the OP: you mention a 66 pigalle, and a 66 teak. 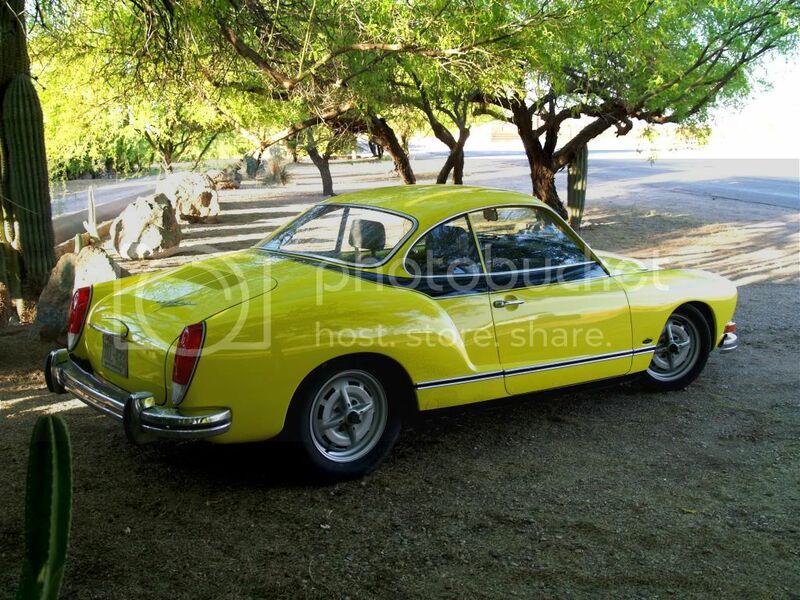 are these ghias? also, was there not also an "azure" in 1966? fascinating thread, btw. i regretfully have in the past "unsported" a few ghias. i mean, who knew? hindsight= 20/20. thank you for sharing! That was my same thought… I wonder if the lower stripes were not a part of the original kit, and most dealers added the lower stripes after receiving them from the factory. Which might explain why there are so many variations on them. Honestly, I never noticed that until I posted these pictures and the conversation of the different stripes came up. When I bought that other car. I brought it to my same painter that did my car. I told him to paint it the same way. I don't recall asking him to do it that way, I think he just did it that way cause he thought it made sense. He painted the second car a few years after the first car and was going largely off of memory. It was because of these pictures that I decided to paint my rockers black, why I opted for the one single stipe between the two chrome trim pieces, and why I decided not to paint any stripes between the rear wheels and back bumper. Supposedly.. these are two pictures were taken in 1972 and were from the Karmann Archive in Osnabrueck. Since this seems to be the only somewhat official documentation that I have ever seen on the validity of the Sport Ghia. I decided to pattern my car after this one. But since this is a 1972 picture, and the stripes are only on half the car, it's quite possible that when the cars were actually produced in 1973, they decided to change the bottom stripe pattern slightly. This car also does not have the proper wheels, and it appears to not have the proper steering wheel either. If they decided to change the wheels and steering wheel, then they could have just as easily changed the stripe pattern. to the OP: you mention a 66 pigalle, and a 66 teak. 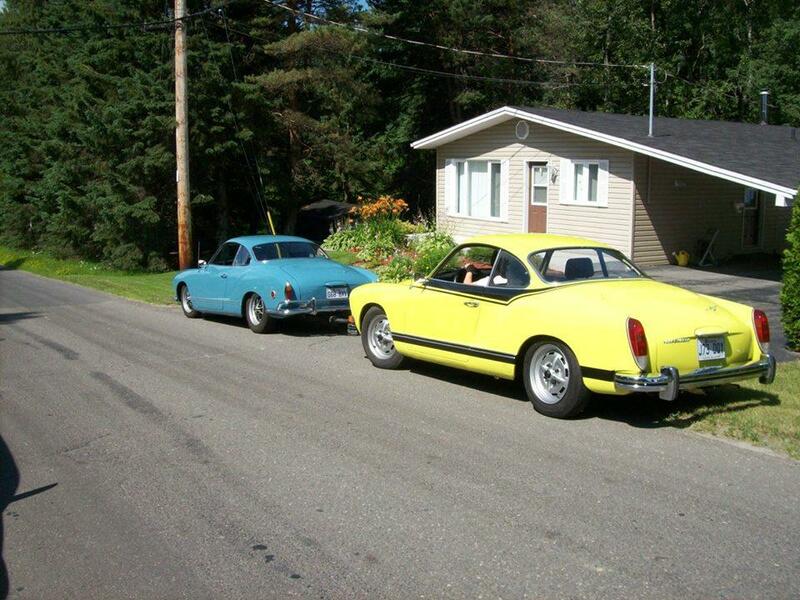 are these ghias? also, was there not also an "azure" in 1966? The glory never gets old, just need new paint. Knowing where your inspiration came from, your choices make a ton of sense to me. I have to say that IMO, the changes that you made improve the overall look of the Sport Ghia and give it a "lighter" feel. I particularly like the way that the black rockers even out the height of the body profile from front to back. If you use your eye to draw a line across the top of the black portion of the rocker, that line will continue forward and match the bottom of the body portion in front of the front wheel, and also continue rearward and match the bottom of the body portion in back of the back wheel. That's why I questioned the added portion of black behind the rear wheel of that second car- it ruined the flow of that line because it extended too far up. I have to say that I think you are obviously a pretty dedicated Ghia guy based on the fact that once you realized that tan car was originally a Sport Ghia, you took on restoring it back that way even though you didn't really need another one. 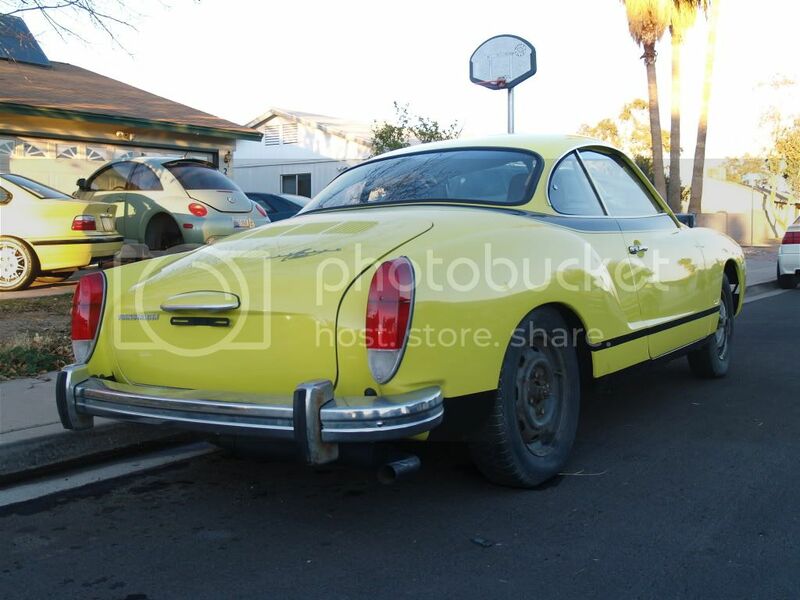 Also, how cool is it that not only are you lucky enough to own such a rare Ghia, but it also happens to be one that has been handed down from family. Well… I actually made some money on that car, and I didn't actually fully restore it. I just painted it back to the original color. Plus, I stole some parts for my car. If you look at my car in the pictures that I posted from the mid 90's. My chrome trim on the side was missing. Also, I needed a new front bumper. Sooo… I'm not a total saint. I got some free parts for my car made a couple bucks, but also saved a Sport Ghia at the same time. 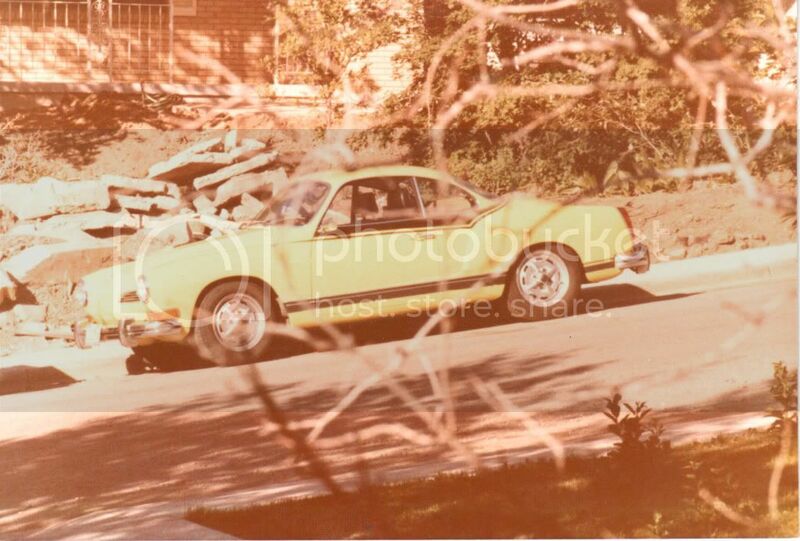 Also… Not only was my car handed down through the family, but it was my parents get-a-way car from their wedding (see picture above), It was also the car that my parents brought me home from the hospital in, and it was the getaway car for my wife and I after our wedding. We are about to have our first kid, probably next week. Unfortunately, we will not be bringing her home from the hospital in this Ghia. Seeing that it has no back seat an all, and it's not very safe and stuff. No back seat must have made the conception a bit more challenging, huh? But hey - if your parents could manage, then I'm sure you probably figured it out as well. DLTracy, nice story and nice cars. I really like the thin stripe on the fender. 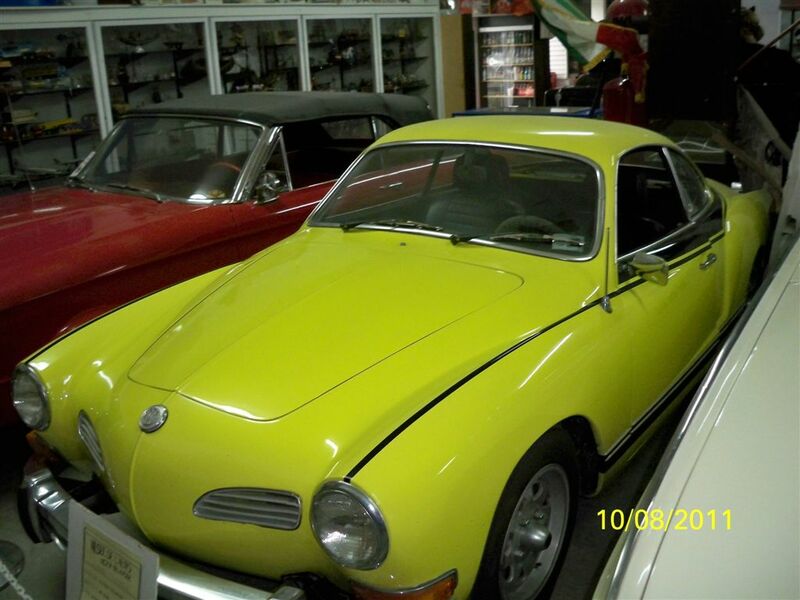 Here the story of our sport ghia, it was repainted sometimes before it ended in a small car museum near home and originally came from Florida. It spent -15-20 years in the museum before somebody from the museum called me to offer a 73 Ghia 2 years ago because I like Vws and the owner was thinning his collection due to his age...I was not interrested in a late model Ghia until he sent me some pics last summer...The Ghia was on mag Wheel but with the right steering Wheel, stripe etc... Me and a friend made an offer that was accepted. 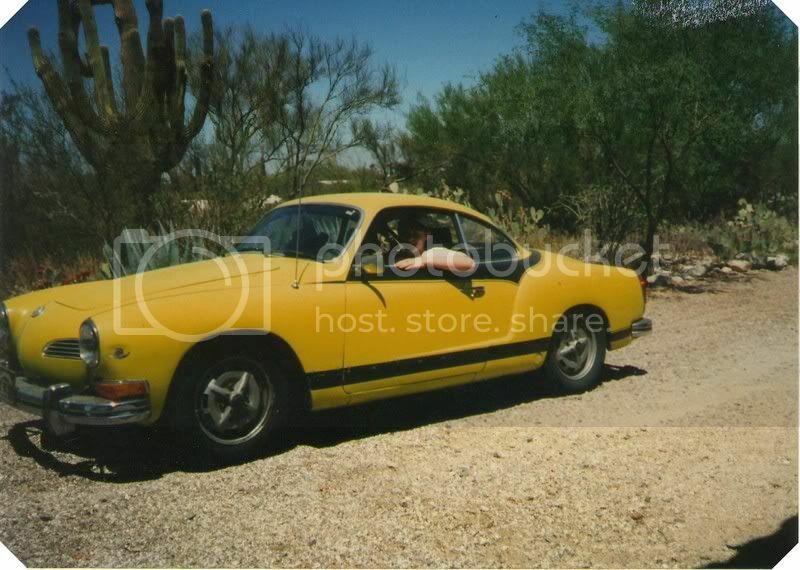 We rolled the Ghia out and with a good tune up, it was on the road again. We changed the wheels for sport Wheel (4.5 front and 914 5.5 rear) I know that 5.5 are wrong but.. We really enjoy driving it and it is an head turner! 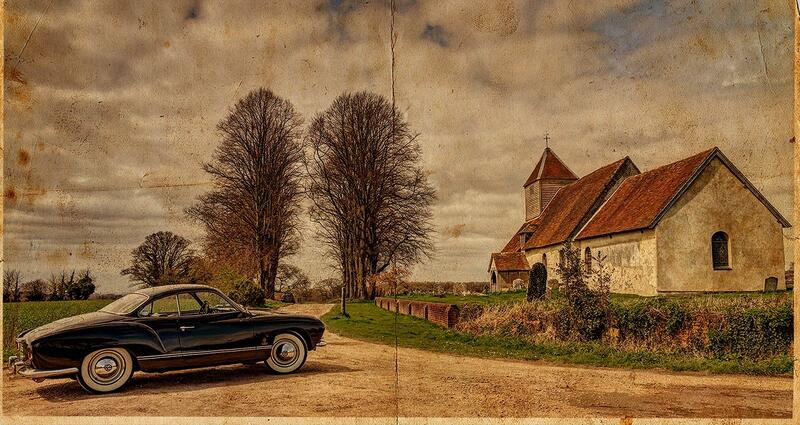 The Ghia is not perfect but a really nice driver. with my 68 and wife on a Sunday afternoon!